Welcome to the Alison Glass 'Skill Builder Series'. 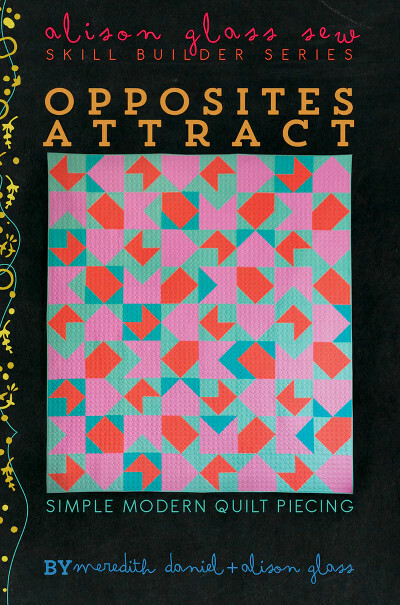 This series is designed to build your skills as a quilter. 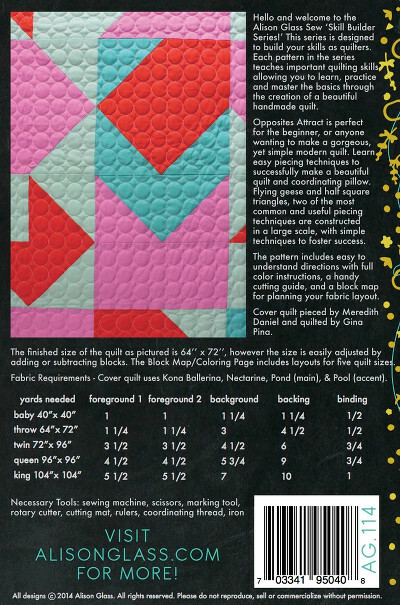 Each pattern in the series teaches an important quilting skill allowing you to learn and practice it through the creation of a beautiful handmade quilt. 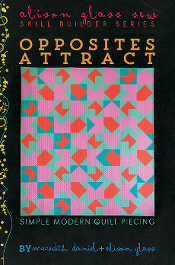 Opposites Attract is perfect for the beginner or anyone wanting to make a gorgeous yet simple modern quilt. 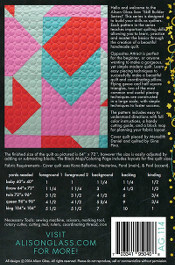 Learn easy piecing techniques to successfully make a beautiful quilt and coordinating pillow. Flying geese and half square triangles two of the most common and useful piecing techniques are constructed in a large scale with simple techniques to faster success.Finished sized of this quilt as pictured is 64in x 72in however the size is easily adjusted by adding or subtracting blocks.